The technology – called JOLED – effectively turns tiny, multi-coloured spheres into real-life pixels, which can form into floating displays or bring computer game characters to life as physical objects. Professor Sriram Subramanian, in the University of Sussex's School of Engineering and Informatics, is the head of lab behind the research. He says: "We've created displays in mid-air that are free-floating, where each pixel in the display can be rotated on the spot to show different colours and images. "This opens up a whole new design space, where computer and mobile displays extend into the 3D space above the screen." Dr Deepak Sahoo, Research Associate in Human-Computer Interaction at the University of Sussex, said: "The most exciting part of our project is that we can now demonstrate that it is possible to have a fully functioning display which is made of a large collection of small objects that are levitating in mid-air. "JOLED could be like having a floating e-ink display that can also change its shape." The paper is the first to demonstrate such a fine level of control over these levitating pixels, moving the technology closer to something that might soon be part of theme parks or galleries. For example, in the future such a display could be placed in a public park to show to users the complex and changing patterns of carbon footprints of different countries or currency fluctuations in different regions of the world. This could allow the general public to clearly see the multi-dimensional data and interact with it. Asier Marzo, research associate in the Department of Mechanical Engineering at the University of Bristol, explained: "Traditionally, we think of pixels as tiny colour-changing squares that are embedded into our screens. 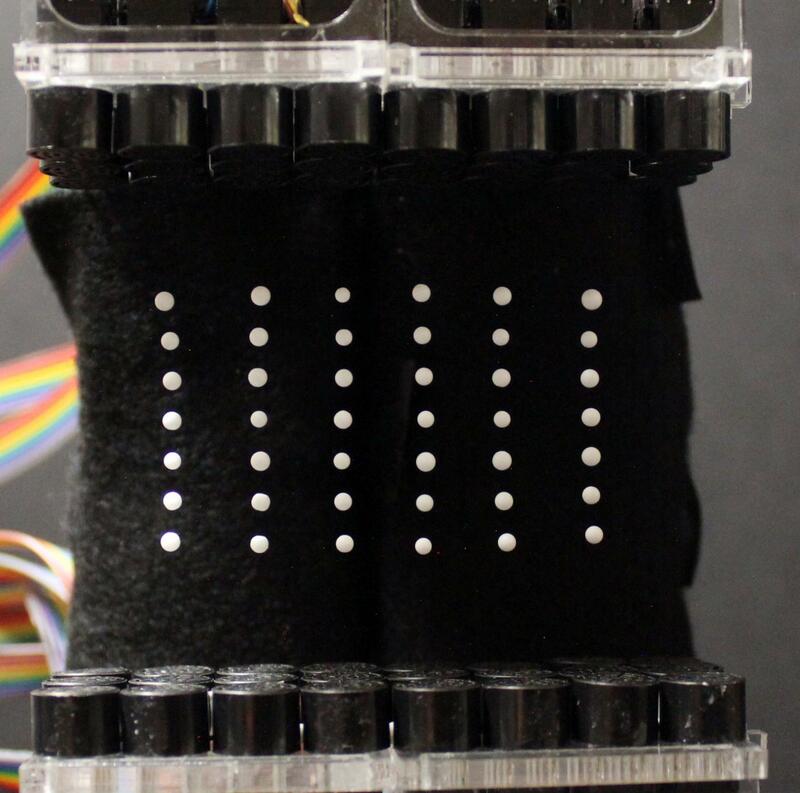 JOLED breaks that preconception by showing physical pixels that float in mid-air. "In the future we would like to see complex three-dimensional shapes made of touchable pixels that levitate in front of you." Professor Subramanian added: "In the future we plan to explore ways in which we can make the display multi-coloured and with high colour depth, so we can show more vivid colours. "We also want to examine ways in which such a display could be used to deliver media on-demand. A screen appears in front of the user to show the media and then the objects forming the display fall to the ground when the video finishes playing."